Over time I’ve collected far more camera bags then you might think one photographer would ever need but the reality is I move my gear from bag to bag depending on what I’m shooting. 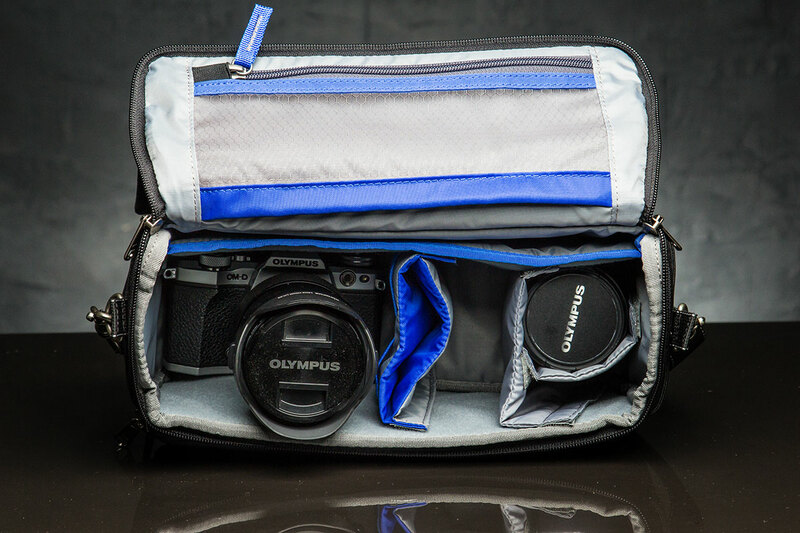 However none of my DSLR bags is small enough to carry around my mirrorless Olympus gear without padding it out. 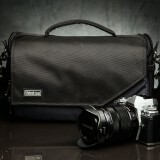 Could the answer be this Mirrorless Mover 25i from Think Tank Photo? Here’s my review after trying it out for a few weeks. 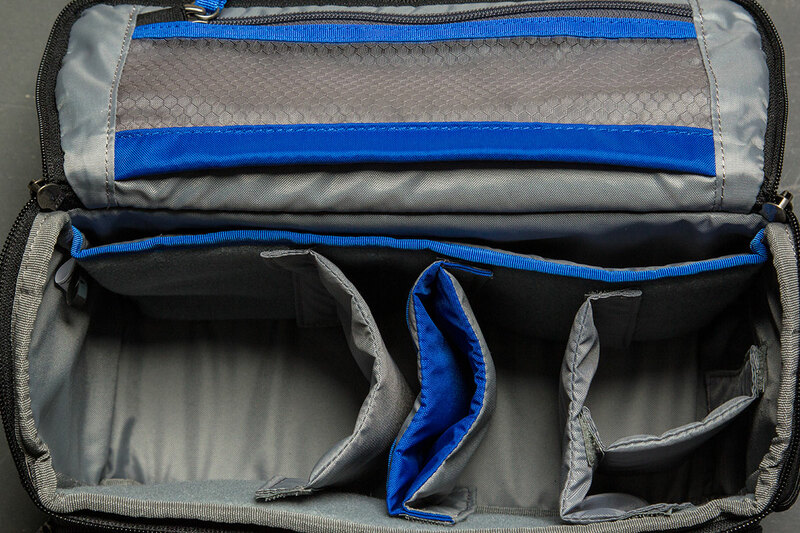 The Think Tank 25i is a surprisingly small bag. It’s internal size of 27cmx14cmx10cm will give you some idea of what you might be able to pack inside. 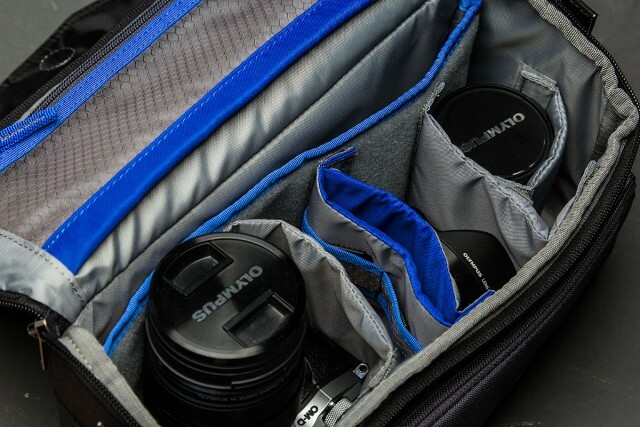 My micro four thirds gear fits inside with room to spare, but so does my DSLR although there’s not much room for anything else. Build quality is up to Think Tank Photo’s usual high standard with the use of great materials, strong zips and a rain cover included as standard. Everything that should be made of metal is made of metal, the external materials are weather resistant and nothing feels cheap or flimsy. Basically, if you buy this bag you better like it because it will probably last you a VERY long time! In use the Mirrorless Mover 25i is comfy to carry and practical. OK it may not have the street chic of some bags but it gets the job done. 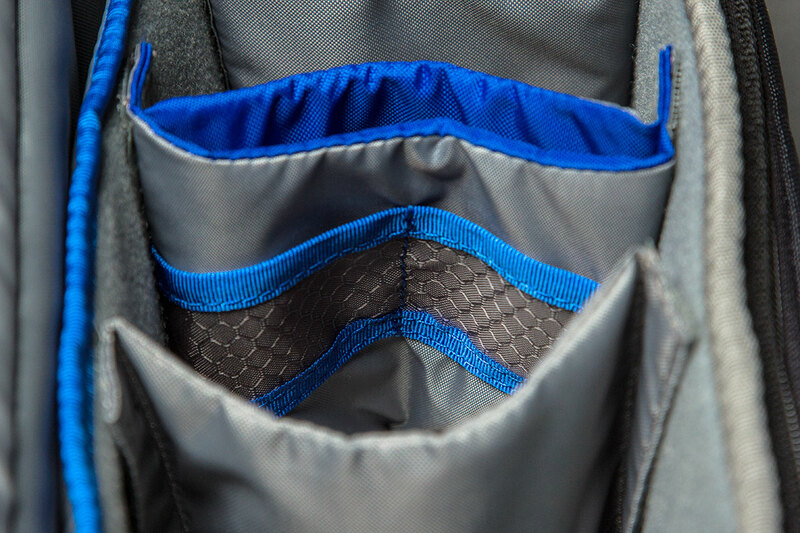 The adjustable shoulder strap is comfy, the top handle is handy and nice little features like the memory card webbing are always welcome. For a small bag there’s also a surprisingly number of places to tuck things away. As you’d expect you can remove and reposition the dividers as you need, which is pretty much the first thing I do with most bags. There’s an internal area which Think Tank says is for your “8” iPad” but as a diehard Android/Windows user I can confirm it’s also totally compatible with other 8” devices. Whilst it’s actually wide enough to fit a 10” tablet the height of the bag is not. A first for me was the double magnets used to keep the top flap closed. 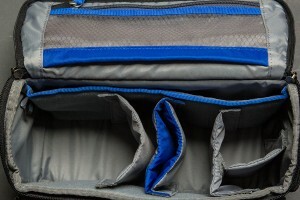 Usually these are Velcro which can be noisy to undo and always seems to get stuck on fluffy cloths. I’m in two minds about the magnets. They work brilliant, they’re virtually silent to use and super strong. However I can imagine the sound of Velcro acting as a deterrent to roving hands on busy streets. 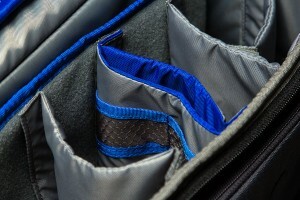 I suppose the lesson is, always use the zips too! There’s only one downside that I can see with this bag and it’s something you’ll either agree with or not. To my eye it looks like a camera bag from the 90’s. There’s no effort here to hide the fact that this is anything but a camera bag. Now that’s fine if your primary requirement is a bag that protects your gear but I know a lot of photographers love small mirrorless cameras because of their stealth like abilities and if that’s you, maybe look elsewhere at something like the Retrospective range of Think Tank bags. You’ll know at first glance if this design and style of camera bag is for you. If it is and you either shoot with Micro four thirds gear or a DSLR with a single lens, then this is a bag that is hard to beat. It’s a well thought out design using robust materials. 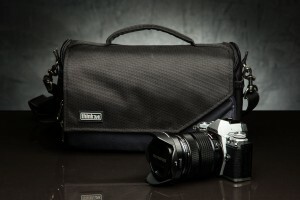 All in all it’s a sensible bag for sensible photographers.